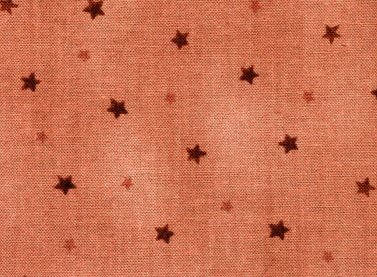 Rust Stars from A Year To Crow About by Jacqueline Paton for Red Rooster Fabrics. 100% quality cotton fabric. 44"-45" wide. The A Year to Crow About Collection contains many great prints in subdued colors with the collection focus being crows celebrating throughout the year as well as sewing notions.